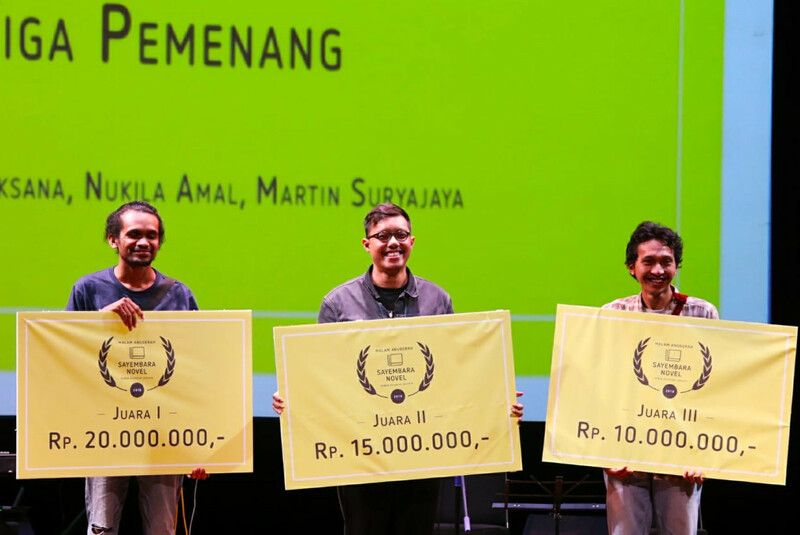 The Jakarta Arts Council (DKJ) has announced the winners of Sayembara Novel DKJ (DKJ Novel Writing Contest) 2018, which was held on Tuesday at Teater Kecil of the Taman Ismail Marzuki (TIM) cultural center in Central Jakarta. Felix K. Nesi, author of Orang-Orang Oetimu (Oetimu People), was named the winner and received a cash prize of Rp 20 million ($1389). Ahmad Mustafa, who penned Anak Gembala yang Tertidur Panjang di Akhir Zaman (The Shepherd who Oversleeps an Era), was named the runner-up and granted Rp 15 million ($1042), while the writer of Balada Supri (The Ballad of Supri), Mochammad Nasrullah, came third and brought home a prize of Rp 10 million ($695). Authors A. S. Laksana, Nukila Amal and Martin Suryajaya acted as this year’s judges. They also listed five works that were considered deserving to be published, including Pemetik Bintang (Star Picker) by Venerdi Handoyo, Tiga dalam Kayu (Three in the Wood) by Ziggy Zezsyazeoviennazabrizkie and Nyi Manganti by Dadan Sutisna. Submissions were accepted from March to July, and the committee received 271 titles, though only 245 of them passed the administration criteria. They came from different provinces of Indonesia, including Jakarta, Jambi, South Kalimantan, Aceh, West Sumatra, North Maluku, South Sulawesi, Lampung and East Nusa Tenggara.